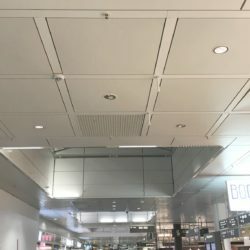 Our acoustic insulation pads are used on suspended ceilings and serve as sound absorbing material. Acoustic pads can be formed into any shape. Additionally, all the fibres are fully encapsulated inside. Ships travel through different world areas and removable insulation blankets need to keep their insulation properties in all of the harshest conditions. It’s a great solution for insulation of exhaust pipes, piping, engines and other equipment. Power Plants consist of a lot high temperature and vibrating equipment. 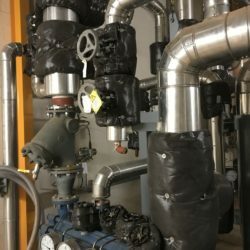 Components like compensators, valves, hatches or other elements that require frequent access can be covered with removable insulation mattresses. 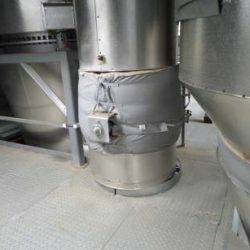 Removable Insulation Covers meet high standards of hygiene requirements and can be applied on parts that need frequent access, service or maintenance, for example valves, tanks, vessels or any ancillaries. Removable insulation mattresses are superior solution for low and high temperature insulation. 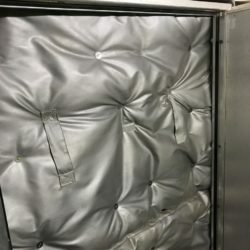 Why removable insulation mattresses are great insulation solution?